If the relationship caused you more stress than happiness, it might not be the best idea. There’s a saying that goes, “Sometimes God sends an ex back into your life to see if you’re still stupid.” Well…that saying’s definitely a little harsh, but it’s got a point. Exes are your exes for a reason. Either you dumped them, they dumped you, or you came to a “mutual” agreement that things weren’t working out. However, breakups are rarely a clean break, and exes oftentimes find their way back into your life — especially through reminders on social media. Getting back together with your ex isn’t necessarily stupid…but it’s not always the best idea either. Every relationship is different, and whether you “should” or “shouldn’t” get back together after a breakup is a loaded question, which needs to be answered on a case-by-case basis. 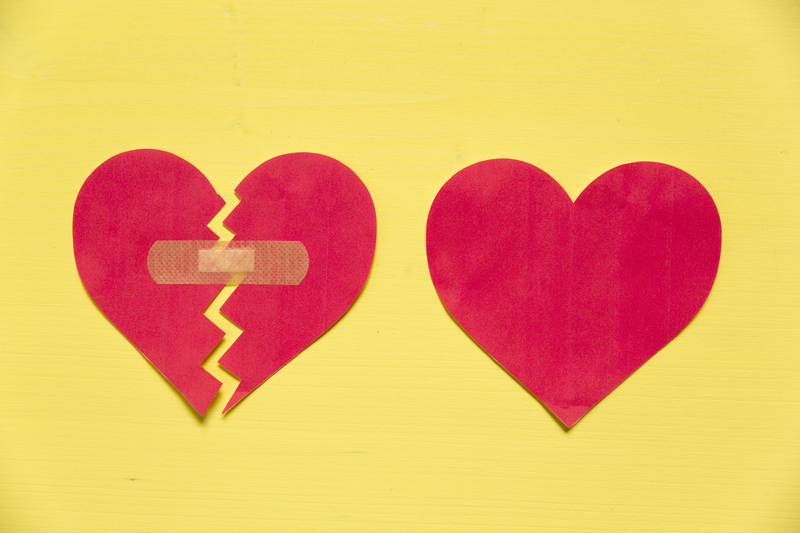 Here’s are some ways you can evaluate if getting back together with an ex makes sense. When asking yourself if you want to reenter a relationship with your ex, revisit the reason (or reasons) why your relationship ended — I’m sure you remember! Ask yourself, if you got back together now, would the same problem still be there? To get a professional’s opinion, I spoke with Rachel O’Neill, Ph.D., a licensed professional clinical counselor and Talkspace therapist. She echoes the importance of analyzing what caused the breakup and assessing whether that factor would be different now. When restarting a relationship, you never can know for sure if it will work out, but if you are still facing the same road block, it’s more likely that the relationship will end the same way it did the first time. And it’s not just about if the partner has changed…but have you changed? Have the circumstances that led to the downfall of your relationship changed? For example, my first serious boyfriend broke up with me because he couldn’t handle my depression when I was at my worst. About a month later, he came back to me wanting to get back together. As much as I still loved him and missed him, I told him getting back together was a horrible idea. I asked him, “If you couldn’t deal with my mental illness a month ago, and my condition hadn’t changed, why would you be able to deal with it now?” It wasn’t easy, but I knew I made the right decision. There are certain deal breakers that make getting back together unfeasible. If an ex wants to get back together with you but can’t accept something that’s a huge part of you, like in my situation, getting back together should be a no-go. Another deal breaker would be if you and your ex still can’t agree or compromise on big life decisions. For example, if you broke up because you’re getting older and you 1000% want to have children, but your partner doesn’t want children. Another sign that you should not get back together is if you’re lonely or bored without a partner, or you hate the single life. It’s hard to learn to be comfortable spending time alone and being single, but it’s a valuable lesson. Many people slip back into toxic relationships because they don’t know how to be alone. However, being single can actually be great for your mental health, and being comfortable with being alone is an important skill to learn. If you and your ex decide circumstances have changed and you are ready to get back together, you’ll need to work out a balance of addressing past issues, without getting stuck in the past. Ultimately, you want to move forward, not be stuck rewinding and reliving the crappy parts of your previous relationship. Air your grievances, be open, and most of all, be honest. You and your partner will need to communicate better than before if you want the second time to work out. Getting back together with an ex can definitely evoke a lot of emotions, both positive and negative. You have to be ready for the possibility of a wild ride — not to mention a lot of hard work to make the relationship run smoothly. And if it doesn’t work out the second time, well, there are plenty fish in the sea. Why Do We Romanticize Our Ex-Partners?